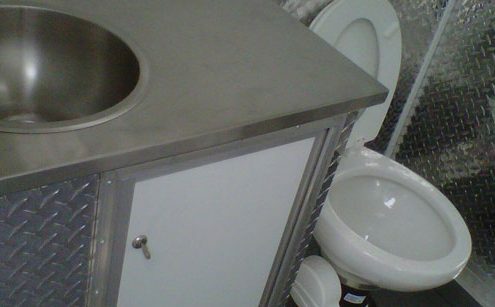 Our basic unit is a standard portable toilet with a urinal and toilet paper dispenser. Our sanitizer units are identical to the basic units with the addition of Purell™ hand sanitizer. These toilets are delivered freshly cleaned, stocked, and ready to use for the smallest family BBQ to the biggest construction project. This is our most popular unit. Our deluxe units are ideal for weddings, family gatherings, and intimate gatherings where guests desire more standard washroom features. Our deluxe units are equipped with the standard toilet, a urinal, a foot activated hand wash station inside the unit, soap, hand sanitizer, hand towels, and toilet paper. Our handicap units are spacious, wheelchair-accessible units. These units are made for convenience, including inside handrails, lower toilet paper dispenser and door latch which is positioned for simplicity and ease of use. The unit is also slightly ramped to make entry as easy as possible for wheels. These units are also great for special events where guests may need space and privacy to change. Sky-lift units are basic and sanitizer toilet units with cabling which enable them to be lifted by a crane. The engineered cable bridal on the sky-lift units are designed to withstand the weight of a full unit during crane movement. These units have also been safety rated by WCB and WSIB. The sky-lift units are ideal for outdoor placement on the top of buildings during construction. Our elevator units are designed for the enclosed space of a construction site elevator. They are also shorter than a regular unit to accommodate the lower ceiling height of a building under construction. The units are on castors for ease of transport. This unit is designed for indoor and/or outdoor use. Our free standing hand-wash stations are the perfect complement to our basic units. 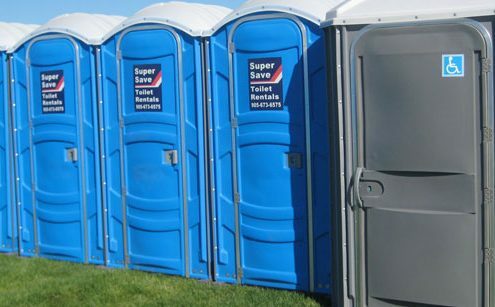 They are ideal for special events where a large quantity of toilets is required. The hand-wash stations are equipped with a foot pump, soap and paper towels. Paired with a basic toilet, patrons can ensure that proper hand hygiene can be maintained at outdoor functions. 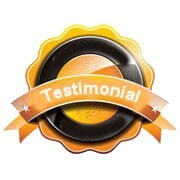 Our Purell™ sanitizing stations can be used in conjunction with our toilets or as stand-alone units. They are often ideal for events where people require hand sanitization after visiting an exhibit, such as a petting zoo. Insulated blankets are used in the colder areas of Canada to help block the cold. The blankets are designed to cover and insulate our basic units. The toilets are delivered with the insulated blankets already on the unit. 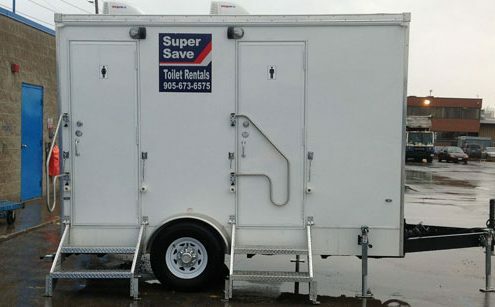 This unit is perfect for toilets which are on a site that is exposed to the elements without access to a power source. The blanket does not generate heat; it functions in the same manner as a tea cozy on a tea pot. 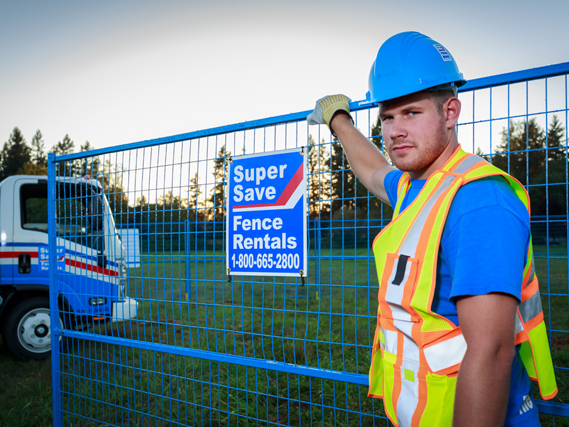 These units are ideal for use on sites in the Prairie provinces. Heated units are a heavier industrial unit perfect for use during the colder months. These units are equipped with a 1250W heater. The heated unit comes with an interior light and requires 110V 12 amp power. This unit is ideal for construction sites in the colder areas of Canada. The unit is equipped with a standard toilet and a urinal.